The Wake Up Project: ELF, GWEN Towers, and HAARP Connection. Below is a great article that was written by Nicholas Jones.. His website was takendown down but Educate-Yourself has a copy of his work! Now this article talks about the connection between these top secret projects: ELF & GWEN Towers, Chemtrails and HAARP! Earth is wrapped in a donut shaped magnetic field. Circular lines of magnetic flux continuously descend into the North Pole and emerge from the South Pole. The Ionosphere, an electromagnetic-wave conductor, 100 kilometers [62 miles] above the earth, consists of a layer of electrically charged particles acting as a shield from solar winds. Natural waves are created which result from electrical activity in the atmosphere. They are thought to be caused by multiple lightning storms. 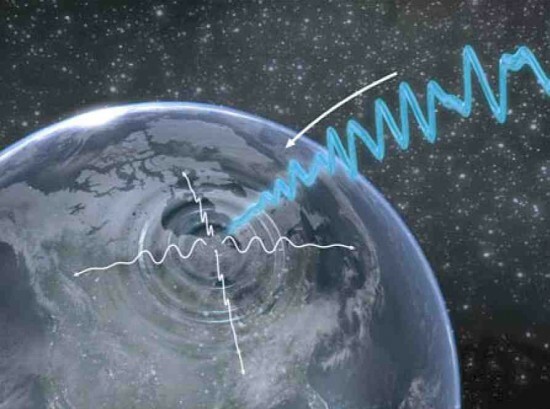 Collectively, these waves are called 'The Schumann Resonance', with the strongest current registering at 7.8 Hz. These are quasi-standing [scalar], extremely low frequency (ELF) waves that naturally exist in the earth's electromagnetic cavity which is the space between ground and the Ionosphere. These 'earth brainwaves' are identical to the frequency spectrum of our human brainwaves. GWEN (Ground Wave Emergency Network) transmitters placed 200 miles apart across the USA allow specific frequencies to be tailored to the geomagnetic-field strength in each area, allowing the magnetic field to be altered. They operate in the LF range, with transmissions between LF 150 and 175 KHz. They also emit waves from the upper VHF to the lower UHF range of 225 - 400 MHz. The LF signals travel by waves that hug the ground rather than radiating into the atmosphere. A GWEN station transmits in a 360 degree circle up to 300 miles, the signal dropping off sharply with distance. The entire GWEN system consists of, (depending on source of data), from 58 to an intended 300 transmitters spread across the USA, each with a tower 299-500 ft high. 300 ft copper wires in spoke-like fashion fan out from the base of the system underground, interacting with the earth, like a thin shelled conductor, radiating radio wave energy for very long distances through the ground. The United States is bathed in this magnetic field which can rise from ground up to 500 ft, but goes down into basements, so everyone can be affected and mind-controlled. The entire artificial ground-wave spreads out over the whole of the USA like a web. It is easier to mind-control and hypnotize people who are bathed in an artificial electromagnetic-wave. 1. controlling the weather, 2. mind control, 3. behavior and mood control, and 4. sending synthetic-telepathy as infrasound to victims with US government mind-control implants. GWEN works in conjunction with HAARP and the Russian Woodpecker transmitter, which is similar to HAARP. The Russians openly market a small version of their weather-engineering system called Elate, which can fine-tune weather patterns over a 200 mile area and have the same range as the GWEN unit. An Elate system operates at Moscow airport. The GWEN towers shoot enormous bursts of energy into the atmosphere in conjuction with HAARP. The website www.cuttingedge.org wrote an expose of how the major floods of the Mid-West USA occurred in 1993. Enormous, invisible rivers of water, consisting of vapors that flow, move towards the poles in the lower atmosphere. They rival the flow of the Amazon River and are 420 to 480 miles wide and up to 4,800 miles long. They are 1.9 miles above the earth and contain a volume of water equivalent to 340 lbs of water per second. 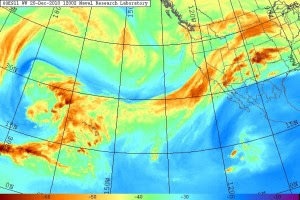 There are 5 atmospheric rivers in each Hemisphere. A massive flood can be created by damming up one of these massive vapor rivers, causing huge amounts of rainfall to be dumped. The GWEN Towers positioned along the areas north of the Missouri and Mississippi Rivers were turned on for 40 days and 40 nights, probably mocking the Flood of Genesis. (This was in conjunction with HAARP, that creates a river of electricity flowing thousands of miles through the sky and down to the polar ice-cap, manipulating the jet-stream , like the Russian Woodpecker.) These rivers flooded, causing agricultural losses of $12-15 billion. 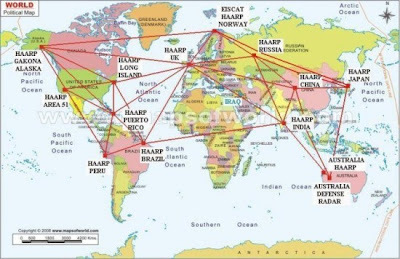 HAARP produces earthquakes by focusing energy along fault lines. GWEN Towers are located on the fault lines and volcanic areas of the Pacific Northeast. Dr Andrija Puharich in the 50's/60's, found that clairvoyant's brainwaves became 8 Hz when their psychic powers were operative. He saw an Indian Yogi in 1956 controlling his brainwaves, deliberately shifting his consciousness from one level to another. Puharich trained people with bio-feedback to do this consciously, making 8 Hz waves. A healer made 8 Hz waves pass into a patient, healing their heart trouble, her brain emitting 8 Hz . One person emitting a certain frequency can make another also resonate to the same frequency. Our brains are extremely vulnerable to any technology which sends out ELF waves, because they immediately start resonating to the outside signal by a kind of tuning-fork effect. Puharich experimented discovering that A) 7.83 Hz (earth's pulse rate) made a person feel good, producing an altered-state. B) 10.80 Hz causes riotious behaviour and C) 6.6 Hz causes depression. Puharich made ELF waves change RNA and DNA, breaking hydrogen bonds to make a person have a higher vibratory rate. He wanted to go beyond the psychic 8 Hz brainwave and attract psi phenomena. James Hurtak, who once worked for Puharich, also wrote in his book The Keys of Enoch that ultra-violet caused hydrogen bonds to break and this raised the vibratory rate. Puharich presented the mental effects of ELF waves to military leaders, but they would not believe him. He gave this information to certain dignitaries of other Western nations. The US government burned down his home in New York to shut him up and he fled to Mexico. However, the Russians discovered which ELF frequencies did what to the human brain and began zapping the US Embassy in Moscow on 4 July 1976 with electromagnetic-waves, varying the signal, including focusing on 10 Hz. (10 Hz puts people into a hypnotic state. Russians and North Koreans use this in portable mind-control machines to extract confessions. A machine was even found in an American church to help the congregation believe!) The Russian "Woodpecker" signal was traveling across the world from a transmitter near Kiev. The US Air Force identified 5 different frequencies in this compound harmonic Woodpecker signal that was sending signals through the earth and the atmosphere. Nikola Tesla revealed in 1901 power could be transmitted through the ground using ELF waves. Nothing stops or weakens these signals. The Russians retrieved Tesla's papers when they were finally returned to Yugoslavia after his death. Puharich continued to monitor the Russian ELF wave signal while in Mexico and the higher harmonics produced in the MHz range (5.340 MHz). He met the CIA and started working for them. He and Dr. Robert Beck designed equipment to measure these waves and their effect on the human brain. Puharich started his work by putting dogs to sleep. By 1948/49 he graduated to monkeys, deliberately destroying their eardrums to enable them to pick up sounds without the eardrum intact. He discovered a nerve in the tongue could be used to facilitate hearing. He created the dental tooth implant which mind-control victims are now claiming was surreptitiously placed in their mouth by controlled dentists causing them to hear 'voices in their head.' The implant was placed under dental caps or lodged in the jaw. Implants are now smaller than a hair's width and are injected with vaccine and flu shots. Millions have had this done unknowingly. These 'biochips' circulate in the bloodstream and lodge in the brain, enabling the victims to hear 'voices' via the implant. There are many kinds of implants now and 1 in 40 are victims from 'alien abduction' statistics, though 1 in 20 has also been gauged. The fake alien abduction event, revealed to be actually the work of US military personnel using technology to make hologram spaceships outside, virtual reality scenarios of going onto a spaceship with humans in costumes, has been astutely perceived. Though real alien abductions do occur, the 'alien abduction' scenario has been useful to stop any further investigation or accountability of government authorities by poor victims who would face mockery and appear silly. 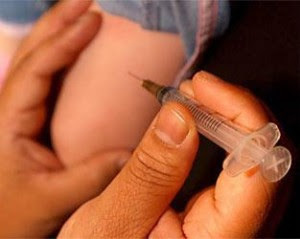 Are we being forced to respond to an artificially induced vibratory rate by global masters who want this planet to have a sudden leap in evolution, populated by the psychically aware and therefore a superior class of humans or is the agenda designed to eliminate billions of people who are 'useless eaters', deceptively being disposed by electro magnetically-induced cancers and diseases? 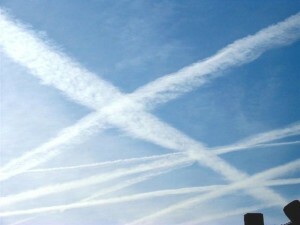 Chemtrails are being sprayed daily all over USA (and other countries too) in a white crisscross pattern. They contain diseases and chemicals which affect our state of consciousness. They can produce apathy which works in conjuction with fluoridation of the water, as well as aspartame and drugs. Fluoride disables the willpower section of the brain, impairing the left occipital lobe. Fluoride and selenium enable people to 'hear voices'. ELF waves create disturbances in the biological processes of the body and these can be activated in the population once the diseases are introduced into the body from the chemtrails. Some chemtrails have been analyzed and shown to be creating cleavages in spacial perceptions, blocking the interaction of various amino-acids that relate to higher-consciousness and to increase dopamine in the brain producing a listless, spaced-out state of lower reactive mind. Basically, the goal is to fog the difference between the real and unreal and some of this could be connected with the many UFO abductions occurring en-mass. Hundreds have been witnessed laid out on tables and implanted. Intelligence agencies are in league with each other behind this disablement of the masses to such a point that they can't even fight back. In order for the perpetrators to do what they want, they need the overall 'frequency' of each victim to function at a specific rate below the threshold of awareness. Could this be part of a greater plan with mind-control transmitters covering the whole of USA and England, cleverly disguised as cell phone towers and trees? The power from microwave towers may be turned up to such a level that people can die. A brain functioning at beta-level (above 13 Hz) is agitated and can't change its perceptions, if it is artificially maintained by technology to that frequency. This may increase body electricity in others, giving them psychic powers. Is this linked to the New-Agers claim of a rising 12-14 Hz Schumann Resonance, inching us towards the 4th dimension? Stimulants ingested globally from caffeine genetically-modified plants, may also produce an impact on the 'global-brain' in the ionosphere collecting our brainwaves. New-age channellers say we are going into 4th dimensional frequency. They 'heard' the voice of some 'ET' who told them. "I began to receive, or hear, high-frequency tones in my ears. When I plug my ears..the tones are still inside and become amplified. It's as if they had become electrified echo chambers with the sounds coming from the inside out..I began to hear voices..into my inner ears as vivid as though I were listening to a set of stereo headphones..with the end result being that I am now having my brain monitored by an omnipotent computerized mind reading or scanning machine of some sort "
Hundreds of inmates at the Gunnison Facility of the Utah State Prison, and the State Hospital were subject to this brand of mind-control in order to test it. In the early 1970s, this was brought out in the Utah U.S. District Court, because inmates who had been subjected to this Tesla-wave mind-control in prison had tried unsuccessfully to fight back in court. The University of Utah researched how Tesla-waves could be used to manipulate the mind into hearing voices, overriding and implanting thoughts into the mind, and reading the thoughts, as well as developing eye-implants. Cray computers, using artificial-intelligence, monitor the victims of government implants sending pre-recorded sound-bytes or occasional live messages. They are picked up by satellite and relayed to whatever large TV broadcasting antenna, GWEN tower or other microwave antenna is near the victim. 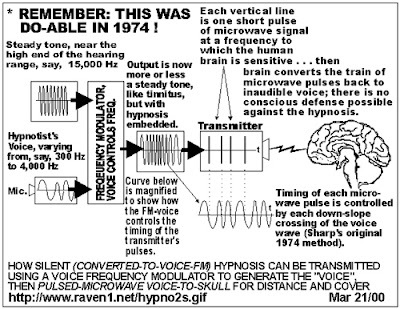 It's believed that some type of body implants pick up the signal and broadcast the correct Tesla-wave pattern to create voices within the victim. The tracking implant keeps the staff and the satellite system informed every few minutes as to exactly where to send the voice signals. The master computer and central HQ for this is reported to be in Boulder, CO. It is thought that transponders are being made there as well. The central cellular computer is in the Boulder, CO National Bureau of Standards building. AT&T is also cooperating in this project. Several government agencies work together on this. "this inter-cerebral hearing is used to drive the victim mad, as no one else can hear the voices transmitted into the brain of the target. Transmission of auditory data directly into the target's brains using microwave carrier beams is now common practice. Instead of using excitation potentials, one uses a transducer to modify the spoken word into ELF audiograms, that are then superimposed on a pulse modulated microwave beam." "Russian satellites, controlled by advanced computers, can send voices in one's own language interweaving into natural thoughts to the population of choice to form diffused artificial thought. The chemistry and electricity of the human brain can be manipulated by satellite and even suicide can be induced. Through ferocious anti-humanitarian means, the extremist groups are fabricated, the troubles and bloody disturbances are instigated by advanced tele-means via Russian satellites, in many countries in Asia, Africa, Europe and Latin America." Another source says that these have been fed with the world's languages and synthetic telepathy will reach into people's heads making people believe God is speaking to them personally to enact the Second Coming, complete with holograms! The Russians broke the genetic code of the human brain. They worked out 23 EEG band-wave lengths, 11 of which were totally independent. So if you can manipulate those 11, you can do anything. NSA Cray computers can remotely track people just knowing the specific EMF waves (evoked potentials from EEGs in the 30-50 Hz, 5 milliwatt range) of a person's bioelectric-field. Each person's emissions are unique and they can remotely track someone in public. He discovered waveforms which exist at a certain number of right-angled rotations away from the electromagnetic-field. These are hyperspacial components, not subject to constraints of time and space. He claimed that electromagnetic-radiation waves were carried by the ether and the ether was disturbed by magnetic lines of force. The hidden component is called only 'potential' now and not normally used except for covert hyperdimensional physics and to manipulate consciousness itself via electromagnetic-waves covering vast areas of the planet. Approx. one person in 3000 is naturally sensitive to this magnetic-waveform component, the telepathic types (according to a writer called "Majix"), but we are all capable of tuning into this magnetic component by tuning our subconscious to it. Maxwell's successors thought potentials were akin to mysticism, because they believed fields contain mass which cannot be created from apparently nothing, which is what potentials are, both literally and mathematically - they are an accumulation or reservoir of energy; but this hasn't been taught in mainstream physics. Subliminal words in the correct electromagnetic-field that expresses human consciousness, attuned to the human brain, can enter our minds at a subconscious level. Our brain activity patterns can apparently be measured and stored on computer by super-computers. If a victim needs subliminal-thoughts implanted, all that is necessary is to capture, save on computer, and target the person's brainwave pattern to send them such low frequency subliminal-messages that they actually think it is their own thoughts [confirmed by Al Bielek and Preston Nichols with the Montauk Project in Long Island]. The researcher Majix says our brains are so sensitive that they are like liquid-crystal in response to the magnetic component of the earth. "Physicists in Russia correlate the mean annual magnetic-activity, electro-magnetic and electro-static fields on human behavior and medical indications.They are similar to biorhythms.These magnetic frequencies can be manipulated. Our brain waves can mimic magnetic frequencies from very simple equipment at extremely low power levels. From half a second to 4 seconds later, the neurons and brainwaves are driven exclusively by the device, with power levels almost nonexistent. All one needs is a circularly polarized antenna aimed up at the ionospheric cavity and they can manipulate the moods of everyone within a 75 sq. mile area. The body picks up these "new" manipulated waves and begins to correspond immediately. "Sleep" frequency will make everyone become tired and sleep." In short, ETs communicated with us via modulated radio-waves, between 10,000 and 20,000 cycles below the known electromagnetic-spectrum. In the carrier-wave by amplitude modulation, mixed with frequency modulation. Single band energy, transmission power less than 25 watts. A naturally present wave on earth, the brain modulated - a wave that resonates between the earth and the ionosphere. All humans influence the ionosphere in this manner. A reflecting technique is involved. The brain modulation consisted of pulses, akin to those known from neuro pulses. Two humans can use this. It's related to something akin to low frequency radar and to ultrasonic techniques, but qualified. A mixed electro-acoustic wave function. The electromagnetic-wave induced an ultrasonic transduction in human tissue. The brain radiation has a sonic component to it as well as an electromagnetic component. Electromagnetic-radiation has a sonic component and it's dependent on the medium through which it travels. The scientist cut through months of work. 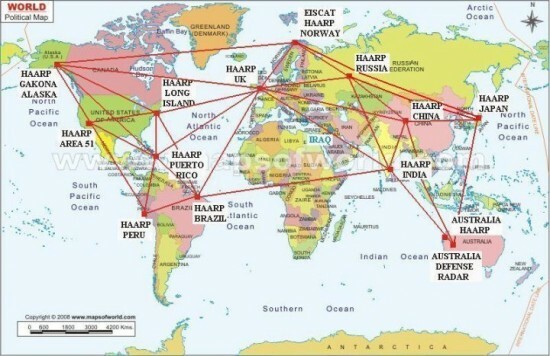 Now HAARP is slicing up the ionosphere, the world-brain, like a microwave knife, producing long tear incisions destroying the membrane which holds the reservoir of data accumulated by all earth's history. A healer called Mr. "A" claimed to receive "Ancient Wisdom" from this protective Magnetic-Ring of energy which stores within it all knowledge since time began. Ruth Mongomery wrote about him in Born To Heal. He claimed that if our energy flow is cut off from this magnetic-field, the Universal-Supply is obstructed and we are no longer in tune and start to get sick. The Power from this travels in split-seconds around the world and is available to anyone who is capable of receiving it and handling it. The waves from The Ring automatically translated into words in his mind, as wisdom to diagnose and heal others, coming from the storehouse of knowledge here since the beginning of time. He produced instant miracles, knitting broken bones and removing arthritis. A photo caught forked lightning coming from his fingers. "He (Preston Nichols) used his..radio equipment to learn that whenever a 410-420 MHz signal appeared on the air, the psychic's minds would be "jammed." Tracing the signal to Montauk Point and the red and white radar antenna on the Air Force Base.."
"Dr. Nicholas Begich has picked up 435 MHz signals connected to HAARP and that a mind control function is being employed. He says that 400-450 MHz is the window to human consciousness because it is our reality's background frequency." 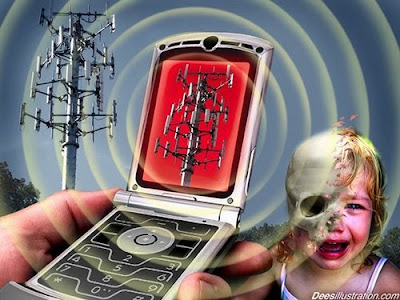 Tim Rifat wrote in his Microwave Mind Control in the UK article www.brazilboycott.org/ that cellular phones use 435 MHz. UK police use 450 MHz exclusively. Dr. Ross Adey used this for CIA behavioral modification experiments. Police have a vast array of antennae to broadcast this frequency all over the UK. Adey used 0.75mW/cm2 intensity of pulse modulate microwave at a frequency of 450 MHz, with an ELF modulation to control all aspects of human behavior. 450 MHZ radar modulated at 60 Hz greatly reduced T-lymphocyte activity to kill cultured cancer cells. A study of USA 60 Hz powerlines repeated this finding. Thank you for this information.Microwave cell phone towers are showing up close to schools,hospitals,and right in peoples back yards here in America at an alarming rate.These cancer causing Microwave cell phone radiation towers pop up so fast that by the time you want to protest them,your pineal gland,and your kids pineal glands are already getting spun out.Most town meetings will not let you protest them because town council members are sheppled into the agenda 21 nightmare.These towers bring down propery values.Birds and bees move away from them.HAARP,G.M.O.food,weather warfare,Chemtrails,now control all people,places,farms,food,and nature.Stay aware and awake people because their is no end to the rabbit hole. and then theres the global smartgrid.on antennae search.com i punch in my adress and in a 4 mile radius i have 53 towers and 272 antennae,no including 153 smartmeters in my apartment complex and smartgrid mesh network relays surrounding me that arent listed..verizon came through and gave all my neighbors high powered wifi for 20$ a month that is coming through the cieling,floor,and every wall,plus the usual 2-5 cell phones pinging to the towers per residence..everything is dead here, everything.i live in beaverton oregon in an apartment complex on 16 acres that was absolutely thriving with life before this smartgrid came.there were ducks nesting and hatching their young by the creek that had nutria, otter, beaver, crawfish, and watercress growing along the bank.there were hundreds of species of birds, thriving willows, native plantlife everywhere,cherrytrees, acorn trees, birds nesting everywhere, so many frogs it was hard not to step on them and at night the crickets and frogs chirped over the sounds of traffic noise.mosquitos were no problem, we had billions of bats to eat them.now there are dead trees falling all over this place, NOT ONE BAT, FROG, BEAVER, OTTER, NUTRIA, DUCK can be found.no more watercress or much of anything growing along the now dead creek here.the only birds to be seen are 4-5 crows.no where can you see a birds nest, the trees left cant support them.no nuts, no cherries, no life. Hope Austin ST.located in tiny Bazine Kansas removes 195 Ft. microwave cell phone tower.Grow a set town council and demand its removal.Poor school kids now have a higher chance of getting health problems due to ELF microwaves disrupting their pineal glands,and they get to look at the ugly shepple tower also. Microwave tower looms over sports field.Run. I would like to say that this blog very pressured me to check out because of the psychic information. Good to know about it. I heard from RevMichelleHopkins, youtube.Chemtrails and Haarp,and Microwave cell phone towers all work together to control things??? I would like to say thanks for giving additional information about the electromagnetic wave harassment and about also cell phone towers. can you tell me the minimum distance b/n the perpetrators and targeted individual? with in how many meters they abuse?